Belize was the guest country at the 21st Afro-Caribbean Festival in Veraruz, Mexico, held from August 10-12, 2017. 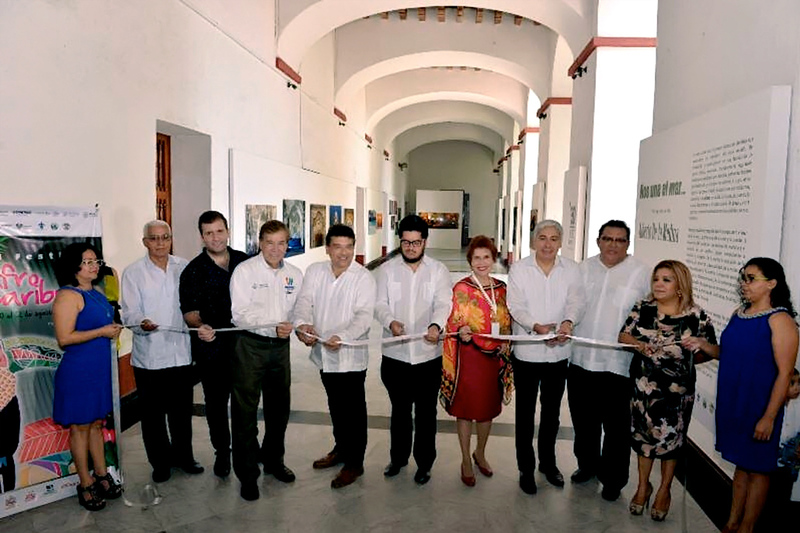 The event was hosted by the Government of the State of Veracruz, through their Ministry of Tourism and Culture and the Veracruzan Institute of Culture. The importance of the festival is to acknowledge Africanism as a part of the Mexican culture. The event was organized by Belize Honorary Consul in Veracruz Ms. Sandra Vasquez. Belize’s Ambassador to Mexico H.E. Oliver del Cid, congratulated the Government of Veracruz and the people of Mexico for recognizing African aspect of their culture. According to the Government of Veracruz website, Ambassador del Cid mentioned in his address at the opening ceremony that “culture is not only to sell tourism or take photographs but to respect and recognize the rights of indigenous peoples who in many cases in Latin America are Afro-descendants." A part of the exhibition was a highlight of the Garinagu culture. Mr. Sebastian Cayetano, President of the National Garifuna Council of Belize, participated in the event to speak about the Garinagu people and culture. The Belizean presentation was supported by a band from Honduras. “We want it to be stronger, obviously there are opportunities between both countries, Belize can surely buy more from Mexico and Mexico can also buy more from Belize… Especially in the southern part of Mexico where there is a proximity, it is natural to have a very efficient trade for both countries, and there are also opportunities for municipalities and states on the southern Mexican border to buy high quality Belizean products."